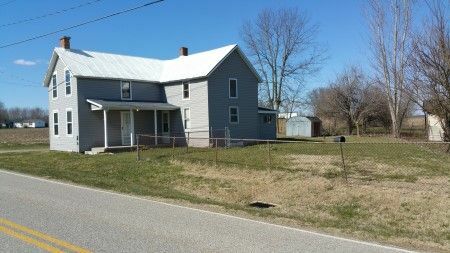 2 Story 2-3 Bedroom Home in a Country Setting Conveniently Located to Kingston, Chillicothe, Circleville & Lancaster! $25,000 Minimum Bid! 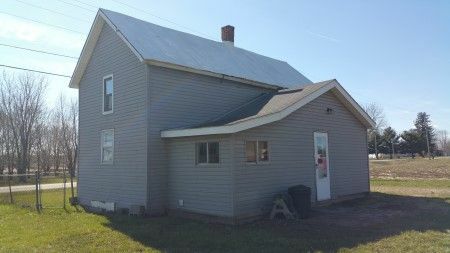 This conveniently located 2 story vinyl sided standing seam metal roofed rural home offers 9 rooms & is just waiting for new occupants! On the first floor it is designed with a large living room, dining room, full bath with shower over tub, a nice sized kitchen w/cabinetry, a utility room and a mud room. The upstairs offers 3 rooms that have been utilized as bedrooms in the past; you have to walk through one room to the next & not all rooms have closets. Some appliances & furniture remain with the house and the roof was recoated in 2017. Real Estate Terms: $25,000 Minimum Bid; $5,000 down in cash or check at time of sale; balance & possession at closing on/before June 25, 2018; offered free & clear prior to closing; sold as-is; no buyer's contingencies exist; taxes prorated to closing. Closing to be conducted by TransCounty Title, 121 W. Main Street, Circleville, Ohio 43113. Taxes & Legal: Pickaway Co. Auditor indicates Net Annual Taxes are $725.40; Parcel No. K2500010009200; Vol. 647 Pg. 2115; Saltcreek Twp; Logan Elm LSD. Sellers: Todd & Caroline Clifton.